4E, 8E, 12E, 16E, 20E, 24E chamber comprises a base plate means, the guide rail, the metal plate (with a controlled outlet terminals). 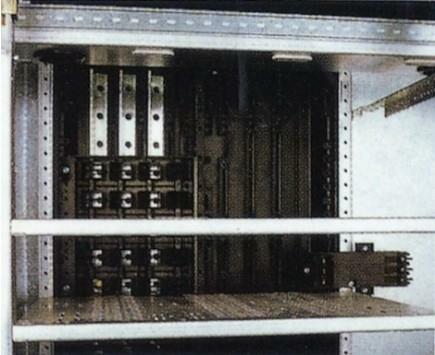 Withdrawable assembly line separating plates and versatile power distribution bus connection via the contact points out, outgoing cables connected by cable connector (main circuit), control cables connected from 20 core or 16-core control wiring connector consisting of 4E core height is 16 or 32-pin control terminals (secondary circuit) to achieve. Main circuit cable connector mounted on the multifunction separate board.